Bottesford FC are searching for a manager/coach for their under 13s team who play in Division Three of the Nottingham Young Elizabethan League on Sunday mornings. 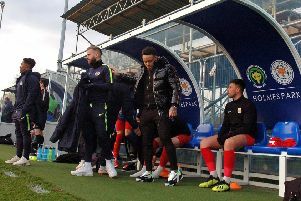 The successful candidate would be expected to take a midweek training session at Grantham Meres Leisure Centre and manage the side on Sunday match days. The club would pay for a course to achieve the requisite FA Level 1 coaching badge and support will be provided by the club’s other qualified coaches and committee. Bottesford FC field three adult teams, including a veterans’ side, 10 junior boys’ teams and two junior girls’ teams. Plans are in place to expand their Nottingham Road site from four to 11 pitches in the coming months with a new clubhouse to follow later this year. The club has enough players at under 13s age group to also form a Saturday team in August 2016, again playing in the Nottingham Young Elizabethan League and would like to recruit a second manager/coach to run them next season. If interested in either position, or for more information, email news@bottesfordfc.co.uk with your details.